I'm probably more a shoe girl, I rarely buy bags since a perfect one is much harder to find. I think it’s mostly because that I’m really picky about them but I'm always hunting for it. 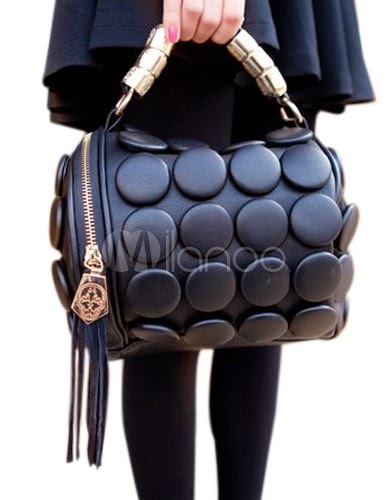 Thankfully Milanoo.com had this Fringe PU Leather Womens Tote Bag that I find so appealing to me. It's a well made/professional bag in a very affordable price. your top is just too pretty. Oh very lovely outfit, cute skirt! N ur shoes are dope! Perfect top and your skirt is very pretty.